Clear + Brilliant is a laser skin resurfacing treatment that combats the signs of aging by providing a smoother skin tone and texture. Seen as a less invasive and gentler alternative to traditional fractional laser resurfacing, the Clear + Brilliant treatment system is an innovative procedure that gives patients noticeable results without damaging the skin. Patients with uneven pigmentation, sun damage, brown spots, and large pores can undergo a Clear + Brilliant treatment in order to give the face a fresh and rejuvenated appearance. 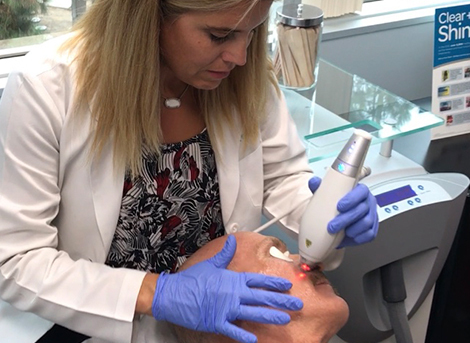 Clear + Brilliant treatment uses focused and precise laser energy to help minimize and refine the pores and reduce the appearance of fine lines and wrinkles. Unlike other aesthetic and skin resurfacing treatments, Clear + Brilliant has minimal risk of side effects, and is so gentle and non-invasive that most patients can go straight from the dermatologist’s office back to work, or on to a night out on the town immediately following a treatment in San Diego! Clear + Brilliant Permea helps aid the absorption of topical serums into the skin, allowing greater permeability and increased effectiveness of topical serums. Using Clear + Brilliant Permea before application of topical antioxidant serum results in a more uniform tone and brightness to the skin following application, and patients who use this treatment report a significant overall improvement in skin tone and texture. Another benefit of Clear + Brilliant Permea is that it is effective on darker skin tones. With Permea, there is no risk of post-inflammatory hyperpigmentation, making it one of the safest choices for those with darker skin tones. Often, darker-skinned men and women have difficulty finding laser treatments that work safely and effectively on their skin, but Clear + Brilliant Permea provides a solution! Dark-skinned men and women now have a means of taking advantage of laser technology to smooth and rejuvenate their skin. 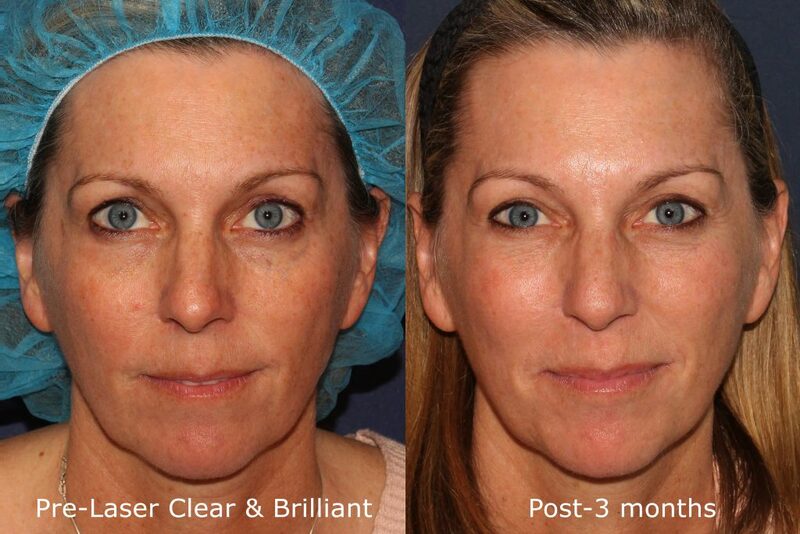 Try Clear + Brilliant Permea in San Diego and watch your skin transform! Are You a Good Candidate for Clear + Brilliant Treatments? Due to its gentle, non-invasive nature, Clear+Brilliant is a good option for people of all skin types looking for a mild procedure that can effectively reduce fine lines and wrinkles and maintain their skin’s healthy, youthful appearance. Many people with healthy skin and a skincare routine that works begin to notice the signs of aging by way of fine lines and wrinkles, generally around the eyes and mouth. Enlarged, prominent pores are also reduced and refined with Clear+Brilliant treatments. Even with a regular skincare routine, the skin can become susceptible to buildup from products, dirt, and dead surface skin cells over time, making it more difficult for moisturizers and creams to be absorbed by the skin, making it more susceptible to breakouts, dryness, and aging. Clear+Brilliant laser treatments are designed for people who are mostly satisfied with the general appearance of their skin and are looking for an advanced treatment to boost the effectiveness of their current routine and to maintain their skin’s health, texture, and youthful glow. 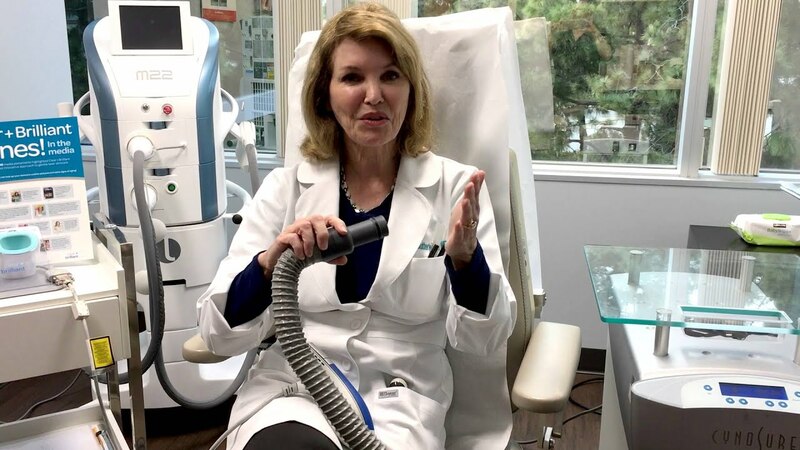 Speak to a board-certified dermatologist at Cosmetic Laser Dermatology in San Diego for a comprehensive examination and recommendation for the most appropriate treatment to rejuvenate and restore the skin’s vitality. 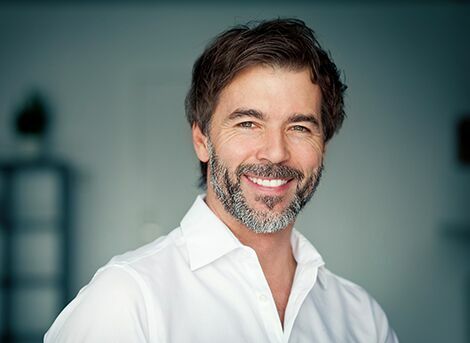 The Clear + Brilliant procedure is a great option for men and women looking for a comfortable, non-invasive treatment to correct minor skin imperfections and the most common signs of aging. Practicing healthy lifestyle habits like abstaining from smoking, limiting alcohol consumption, eating a balanced, healthy diet, getting enough sleep and regular exercise, and maintaining a good daily skincare routine will help to keep the skin looking clear, and help to keep the effects of aging at bay. In order to keep the skin looking as smooth, clear, and youthful as possible, professional cosmetic laser treatments and a regular at-home skincare regime should be complemented with healthy lifestyle and wellness habits. As with overall health and disease prevention in the body, one of the most important factors in keeping the face and neck looking healthy and youthful are drinking sufficient amounts of water every day, and eating a balanced diet rich in fruit and vegetables and low in refined sugars and highly processed foods. Minimizing alcohol consumption and avoiding tobacco are also critical in order to preserve the skin’s appearance and health. Protecting the skin from sun exposure and getting enough sleep on a consistent basis is also essential to preventing damage and slowing down the aging process. Even with the best skin care routine, bad habits and overexposure to the sun can lead to irreparable skin damage and premature aging. 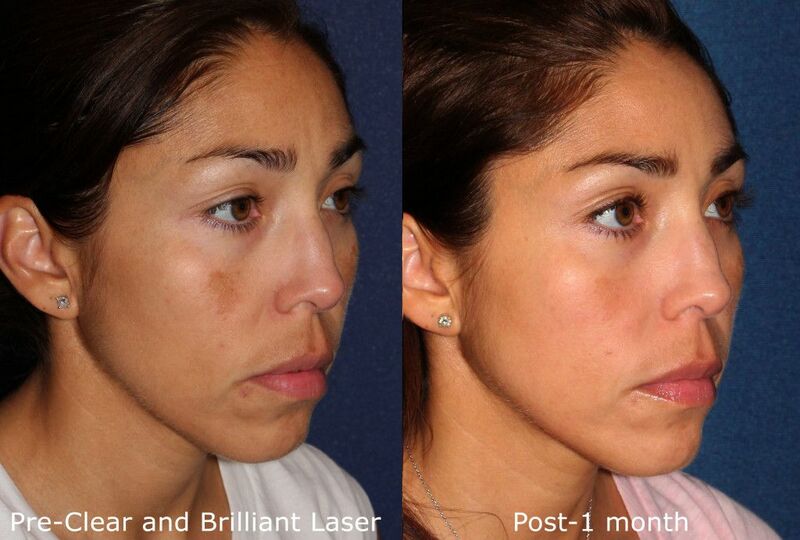 clearandbrilliant.com explains how this laser is an important factor in looking younger and healthier. Read our pre/post treatment guidelines for Clear + Brilliant. Q: What is the Clear + Brilliant laser treatment? A: Clear + Brilliant is a laser system that reduces the signs of aging and provides patients with a glowing, even skin tone and texture. It is a less invasive and gentler option than fractional laser treatments such as Fraxel Re:Pair. Q: Is Clear + Brilliant safe? A: Clear + Brilliant is very safe and does not damage the skin in any way. Clear + Brilliant is so gentle that it is even safe for darker skin tones! 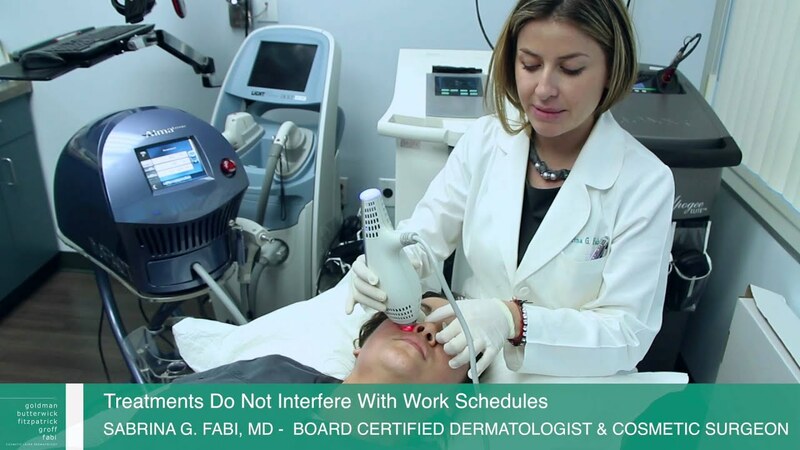 It is seen as a great alternative for patients who do not want to undergo more invasive laser treatments. A: The procedure is virtually painless, however our skincare experts will take necessary measures to ensure each patient is completely comfortable during the procedure. Q: Is there any downtime required after a Clear + Brilliant treatment session? A: There is no downtime required after the treatment session is completed and patients can resume their normal daily activities with no recovery period necessary. This is similar to the IPL Photofacial treatment, which also requires minimal downtime and has little side effects. Q: Are there side effects from Clear + Brilliant? A: The day after the treatment, the patient’s face may appear slightly red as if sunburned. However, this can be covered up with makeup. There is no scabbing, peeling, or crustiness after a Clear + Brilliant treatment. Q: How do I know if I am a good candidate for Clear + Brilliant? A: During your initial consultation with one of our expert dermatologists, they will be able to determine if the Clear + Brilliant treatment is ideal for your skincare needs. Clear + Brilliant is recommended for patients who are looking for a gentle, yet effective laser treatment to reduce the signs of aging or sun damage. Refresh the youthful appearance of your skin with the innovative Clear + Brilliant laser treatment system or an IPL photofacial which also offers complete facial rejuvenation with little downtime! Let the skin care specialists at Cosmetic Laser Dermatology help you rejuvenate your skin for a healthy and vibrant glow! 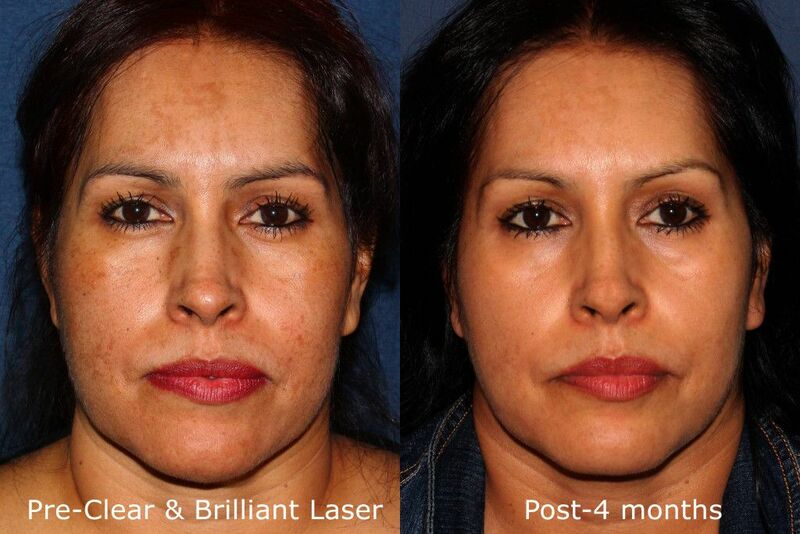 Don’t wait to contact our San Diego laser experts to learn how you can significantly diminish the signs of aging with these cutting-edge age-reversing treatments. Call us at 858-943-2113 today! Receive 10% Off IPL or Clear & Brilliant.